Buhari has not only contravened more than 80% of his campaign promises but he has refused to implement the promises that formed the basis for his election as President. 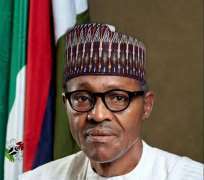 In civilized climes, Buhari should have resigned without any public outcry or bear the burden of popular uprising. Sycophants, pretending and sectional-minded people cannot provide leadership let alone good governance. Instead of creating jobs, he is creating an environment that will make corporations to downsize. He has promised to sack 2,000 University lecturers in January 2016. The Banks are likely to lose 30,000 workers. He is corrupt and incapable of fighting corruption. Buhari has not found the Chibok Girls. Boko Haram has intensified and now the Shi’ite and Suni Muslims are slaughtering themselves. Buhari has not fulfilled the N5k promised unemployed youths, he has not provided the free meal he promised. Buhari promised to create720, 000 jobs by the 36 states in the federation yearly (20,000 per state). This may never happen even if we give Buhari 50 years to rule Nigeria. Buhari placed a ban on all government officials from seeking medical care abroad but he is now taking treatment abroad. How can Nigerians trust such a man? He promised to create 3million jobs per year but what we see every day is retrenchment of workers. Buhari said he would vehemently fight corruption but from our findings two things are revealed. Firstly, he has only prosecuted and persecuted people from the Niger Delta. Secondly, he has refused to prosecute high profile corruption cases such as the Halliburton scandal. Buhari is also embroiled in Dasukigate hence he is now going for a plea bargain. This hypocrisy must stop. President Buhari promised a permanent peace in the Niger Delta and other conflict prone areas such as Plateau, Taraba, Bauchi, Borno and Abia but the same administration is stoking the fires of violence, embarking on policies that are decisive; programmes that are repugnant to equity, and the principles of natural justice. President Buhari has not demonstrated an ounce of quality to unite Nigeria. He suppresses every dissenting opinion with utmost brutality and without regard to the rule of law. He is an agent of disintegration and Nigerian intelligentsia know this. The corporate existence of Nigeria cannot be compromised. Buhari promised not to Islamize Nigeria but there are loud accusations from Muslim clerics that Buhari has links with daesh. Recently, he is making efforts to ensure that Nigeria joins the alliance of Islamic countries to fight Isis in Jordan, Iraq, Iran and Yemen. We regard this as the veritable first step to Islamize Nigeria except Buhari can prove otherwise. Buhari’s seven months rule has brought Nigeria’s economy to an all-time low and it is plummeting further on a slippery slope. 14. Making the economy one of the fastest- growing emerging economies in the world with a real GDP growth averaging 10% annually. jobs by way of loans at nominal interest rates for capital investment on medium and commercial scale cash crops. interest rates exclusively for this sector. service performance data, and items of spending over N10 million. prior to award and during implementation at regular interval. occupies a place of pride in global sports and athletics. providing greater opportunities in education, job creation and economic empowerment. Russia, India and China (BRIC) and other strategic partners around the world. origins, remote and immediate causes of the movement, its sponsors, the international connections to ensure that measures are taken to prevent a recurrence of the evil. President Buhari's media Chat yesterday has betrayed his intentions to lead Nigeria to utter disintegration. He has no ideas on how to move Nigeria forward. President Buhari’s promised change is fake, utopian and nonsensical. He should resign before pushing Nigeria to the precipice of disintegration. Nigeria must be united and not even President Buhari can divide us. We so resolve!